Prof. Dr. Rizaldi Boer. 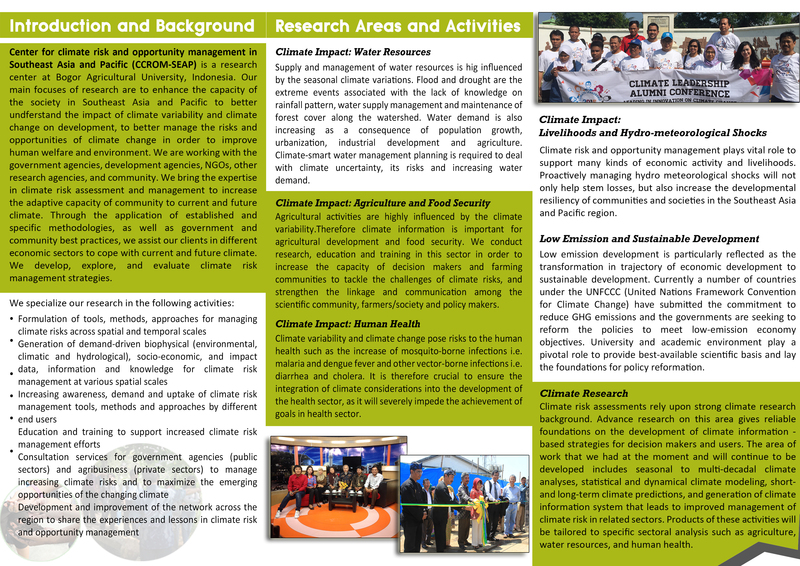 Director of CCROM-SEAP IPB. 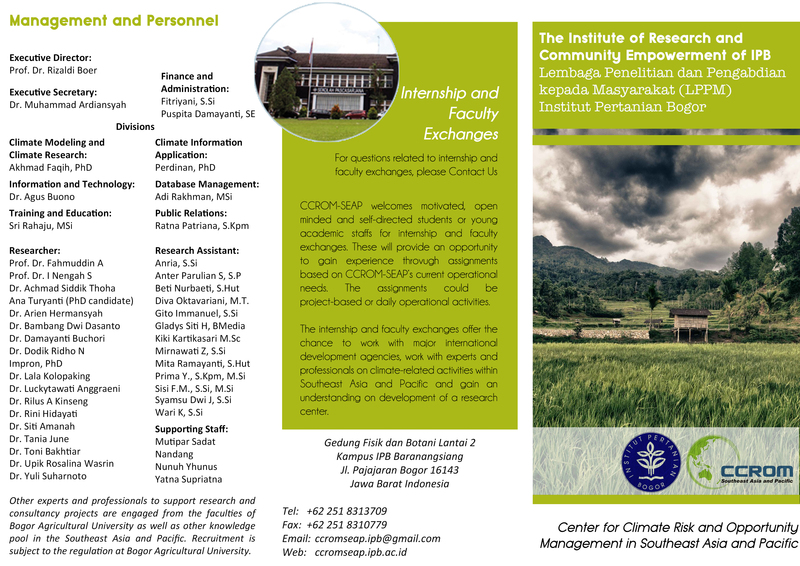 Centre for Climate Risk and Opportunity Management in Southeast Asia Pasific (CCROM - SEAP), is a research center at Bogor Agricultural University with main focus for research area is to enhance the capability of society in Southeast Asia and Pacific to better understand the development impact of climate variability and climate change, also to manage risks and opportunities of those events to improve human welfare and environment.